⚫ Thanks to EOS Canada and many others! (The GreyMass "eos-voter" wallet support is coming soon. In the current version you can just view the proposals but not yet vote). 1. To vote, make sure your tokens are staked that you want to vote with. You can only vote with as many tokens as you've staked. 2. If you're using a Ledger Nano S, make sure the EOS app is updated to v1.2 or higher from the Ledger Live Manager application. And you MUST have "arbitrary data" turned on in the EOS Ledger app settings menu (on the hardware device itself). 3. 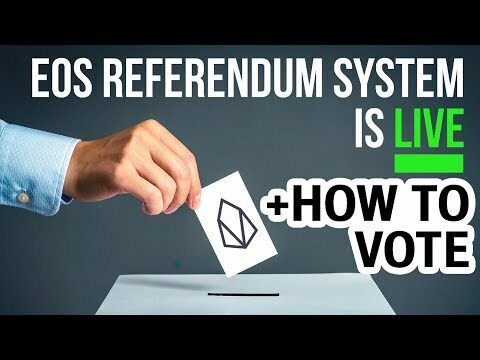 If you vote for a proxy, by default they will vote for BPs and referendums with your tokens. You can choose to vote for referendums and still allow them to vote for BPs for you. Or you can let them vote for both BPs and referendums for you. 4. Rohan from EOSAuthority said: " If you vote on a proposal, your vote overrides your proxy’s vote irrespective of how the proxy votes or when you vote for a proxy."